Item2017-04-19-01 - Day, Ethel E.
Item 2017-04-19-01 - Day, Ethel E.
Photograph of Ethel Day, wife of Professor W.H. Day and librarian of Bradford Public Library from 1936 - 1953. 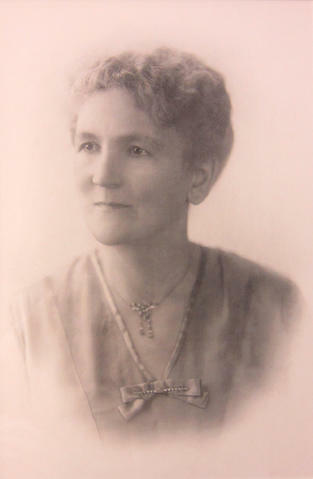 She was also the mother of Ida Day Smith, former librarian, whom she took over from in 1936. Mrs. Day was the sole librarian and worked originally a room on the second floor of T.W.W. Evans law office at 21 Holland St. West, then in the late 1940s, moved to a room above the fire hall on Barrie Street. She hand-wrote all records, and was librarian until her death on November 23, 1953.
framed portrait, 11" x 14"